To gather and challenge a person to worship, listen to and obey God, releasing them (in context of DTS) to serve through evangelism, intercession, acts of compassion and other expressions of God's heartier the world, possibly even pioneering new ministries. To Sharpen one's ability to relate, learn from and work with people, including those of different cultures, personalities and perspectives. To further Equip each one to serve God's purposes in either in or outside of YWAM family of ministries, strengthening a commitment to reach the lost, especially the unreached, to care for the poor, and to influence all areas of society. God's Word: His call and His Commission: Doing the Works of Jesus. So, what is ASEAN DTS? It is an economic zone consisting of 10 Southeast Asian Nations, these nations and the unreached people groups that live in these nations, are the focus of this DTS. A DTS with YWAM Ubon Ratchathani will look different than other DTS schools because we will be part of one school that is starting in multiple locations (first 7 weeks are separate). Then all locations, including us, will come together in Cambodia (for 6 weeks) before going on outreach to different locations within the ASEAN Economic Zone for the main outreach portion of the school. After outreach, we will all join together again in Cambodia for one week before returning to each starting location for a separate debrief week and graduation. During the lecture phase of DTS guest speakers will come every week to share on a variety of topics that are designed to help you grow in relationship with God. Our desire is for you to receive a deeper understanding of God’s love for you, your identity in Him, His heart for the lost, and how to live as a disciple of Jesus proclaiming the Gospel to the world. Partnering with existing ministries locally during lecture phase and globally during outreach phase will provide for long-term opportunity, while introducing you to different types of ministry. The outreach phase allows you to practically apply knowledge from the lecture phase, which includes being able to share the Gospel with those you meet during the outreach time. 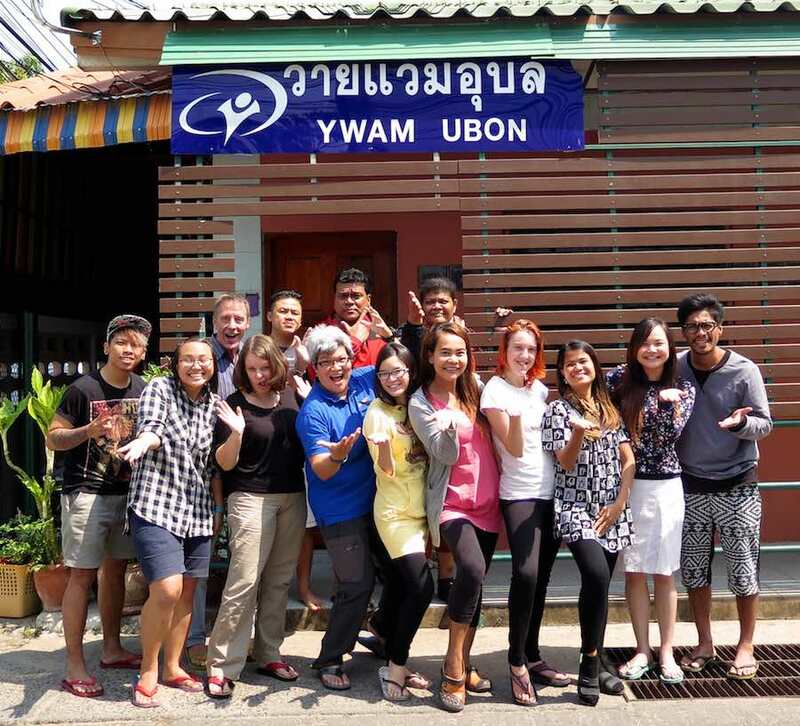 As we believe God has place in our heart in YWAM Ubon to equipped the students, both Thai and Internationals, who have a heart and calling for the country of Laos and North East of Thailand, which number around 6.5 million in Laos and 22 million in the North East of Thailand. Our outreach location will be Laos, Isaan and Cambodia, which is part of Asean. God is at work in the ASEAN Nations and there has never been a corporate DTS gathering like this before. Come and be a part of something special. Come sign up!! !